When planning a renovation for your new HDB BTO flat in Singapore, flooring might be the first thing that comes to mind as it is one of the most important elements of a house. There is a variety of tiles available in the market with lucrative designs and structures. However, one must take note that each type of tile has its own characteristics. For instance, you can’t opt for a slippery ceramic glazed tile for both your bathroom and kitchen! While choosing tiles for your HDB BTO flats can be a tedious task, we’re here to guide you through this article. Homogeneous tiles are basically porcelain tiles that are fire treated at 1500-degree centigrade. Made up of a consistent composition of materials, homogeneous tiles are not glazed and are made up of mostly what are considered “dull” colours together with their vein-like designs. However, manufacturers are trying to bring out more designs in lieu of the demand. When installing kitchen tiles or toilet tiles at your new HDB BTO flat, do keep in mind that homogeneous tiles are regarded as “hard tiles.” This means that they cannot absorb moisture as well as ceramic tiles. With this, homogeneous tiles rarely get chipped or damage because of their water-resistant properties and less porous structures. Porcelain tiles can be classified into glazed tiles and full-body glazed tiles. Glazed porcelain tiles are only coloured on the top surface. While full-body glazed porcelain tiles are coloured throughout the material. As for floor tiles in HDB BTO flats, glazed tiles are considered the better option as despite only being coloured on the top surface, these tiles can already enhance the interior design of bedrooms. Most people opt for porcelain tiles for bathroom floors because they tend to be denser and less porous than ceramic tiles. While porcelain tiles are durable and highly resistant to cracking, these tiles can also break when heavy pressure is exerted on it. Glazed porcelain tiles are considered to require low maintenance as it is water-resistant. Ceramic tiles might be a familiar name amongst the type of tiles, but they tend to be the least used for HDB BTO flooring. They are only suitable for places that are not exposed to any moisture content and have very less foot traffic. People usually use these tiles in their bedrooms due to its designer look. However, it is not at all suitable if you have small kids at home. Ceramic tiles will easily crack when exerted with even mild pressure and hence might require constant repair. They are more porous and less durable than the other two types of tiles discussed above. However, there are still homeowners choosing ceramic tiles for certain parts of their homes as they have a variety of more classic-looking designs. Get your floor-length measured by a trusted tiling contractor. By doing so, you are ensured to get the perfect measurement for your chosen floor tile design. Always hire a reliable tile setter with professional experience with a range of previous projects. 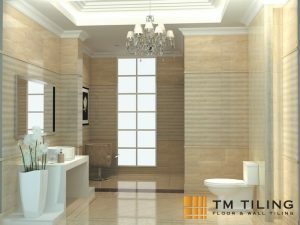 Better yet, hire a direct tiling contractor like TM Tiling Singapore to save Interior Designer costs. Before you even begin to choose your preferred tile, jot down a list of properties that it should have that closely match other details of your house. Select tiles that will complement the overall theme of your house and ones that require low maintenance. Explore the market for better options. Take quotations from various tile suppliers in Singapore and check out with their earlier clients. Always consider the final appearance of the tiles. Take note that while certain tiles might differ in appearance before installation, they might end up looking very similar after polishing and cleaning. Looking for highly-skilled direct tiling contractor for you HDB BTO flat? Look no further! 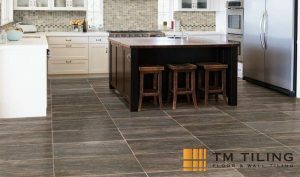 TM Tiling Singapore offers reasonable pricing for its range of high-quality tiling works. Contact us now to speak with our direct tiling contractors and while you’re at it, browse our range of completed tiling projects for home ideas. 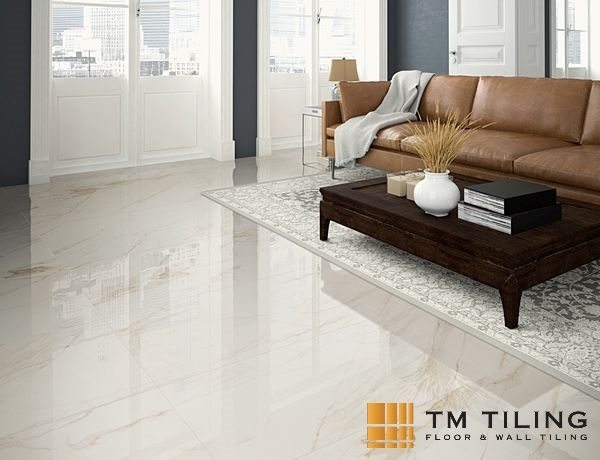 Call us at +65 6653 5655 or email us at enquiry@tmtiling.com. Our team of tiling experts will get back to you as soon as they can.